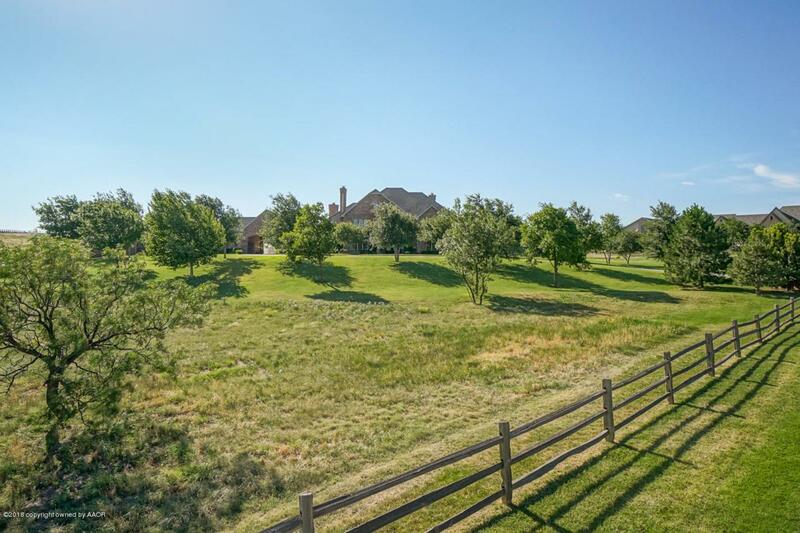 Located just minutes from Amarillo, this +/-7.75 acre estate affords rare privacy and is introduced via a private, secure gate at the community entrance. The residence captures five bedrooms, with en suite baths. On the main level, enjoy the grand family room, gourmet kitchen with butler's pantry, great room, formal dining room, wine room, office/study with fireplace, laundry room. Master bedroom includes a cozy fireplace. Master bath is luxurious with steam shower and warming drawer. The second level features a game room with wetbar and billiards area. The basement boasts a home theater, full bath and an oversized gym with mirrored wall. 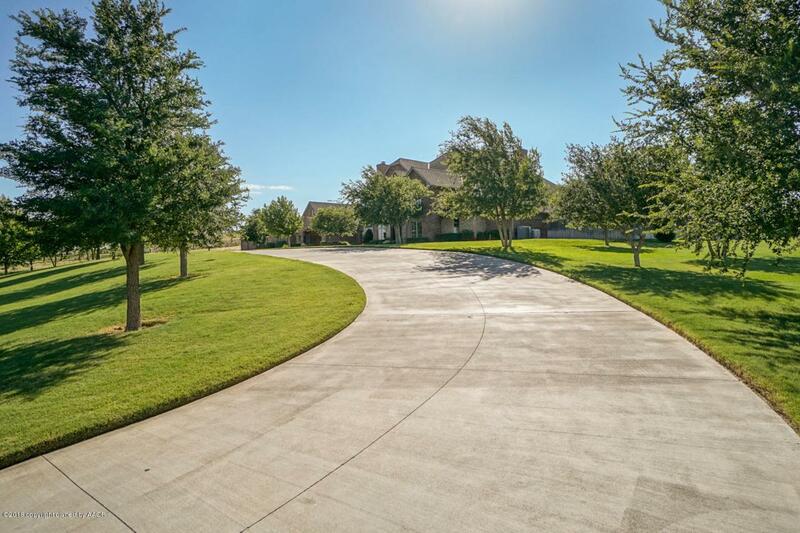 Make your appointment today to view this beautiful estate in a convenient and quiet location. 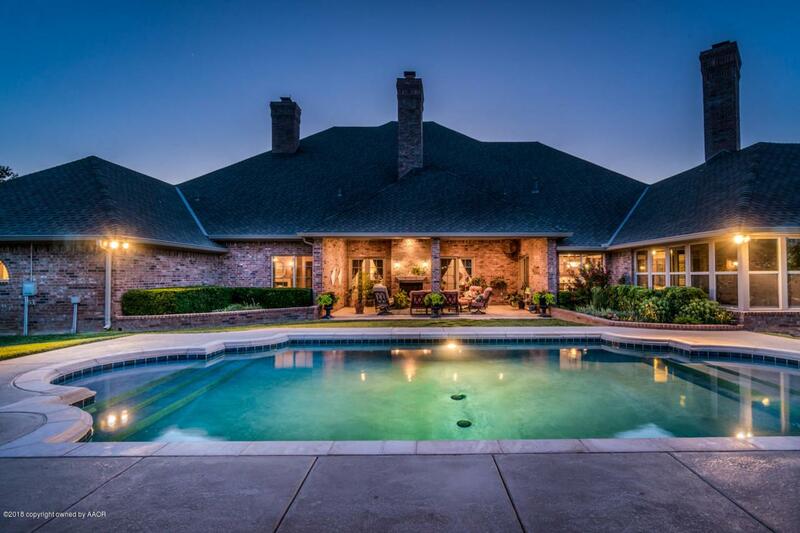 Listing provided courtesy of Berkley Thompson of Keller Williams Realty Amarillo.